Walter C. Holt, Behold! We have Gold, Silver, Wine and Wheat. proclaims the products of its territory so exquisitely". - Joseph H. Eckhel. (A remarkable coin of Pautalia pronouncing the city's natural riches. 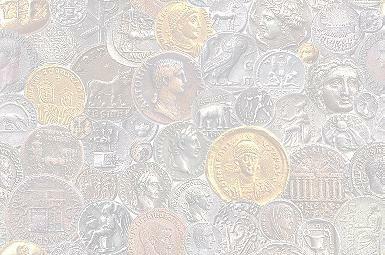 [Pautalia, Gold, Silver, Wine, Wheat]). CAB, 20.11 (December 2017/January 2018), pp.72-75, illustrated. Walter C. Holt and Rev. Peter Dunstan, The Tribute Penny - The Denarius Debate Continues. (Discusses the identity of the famed 'Tribute Penny' of the Bible. [Tribute Penny, Denarius, Biblical]). CAB, 18.09 (October 2015), pp. 62-67, illustrated. Walter C. Holt and Rev. Peter R. Dunstan, Australasian Coin and Banknote Magazine. Walter C. Holt, The City of Patara, Birthplace of 'Santa Claus'. (The Coins of Patara and the city's link to the legend of Santa Claus. [Patara, Chimaera, Lycia]). CAB, 15.11 (December 2012/January 2013), illustrated. Walter C. Holt, IΛIOY MEΛAΘPΩN. A Tour of the Athens Numismatic Museum. (A visit to one of the best Museums in Athens, Schliemann's House. [Athens, Hoards, Parthenon]). CAB, 14.03 (April 2011), pp. 30-32, illustrated. Walter C. Holt, Some Value Marks on Roman Republican Silver. (Early Republican Silver Denarii, Quinarii and Sestertii and their Marks of Value. [Rome, Republic, Sestertius]). CAB, 14.01 (February 2011), pp. 22-23, illustrated. Walter C. Holt, Identifying Greek Coins: Tetradrachm of Syracuse. (Identifying a Greek coin from basic observations. [Syracuse, Sicily, Tetradrachm]). CAB, 13.11 (December 2010/January 2011), pp. 36-38, illustrated. Walter C. Holt, Identifying Greek Coins: Shekel of Tyre. (Identifying a Greek coin from basic observations. [Tyre, Shekel, Tetradrachm]). CAB, 13.08 (September 2010), pp. 24-26, illustrated. Walter C. Holt, Identifying Greek Coins: Tetradrachm of Cleopatra. (Identifying a Greek coin from basic observations. [Cleopatra, Egypt, Ptolemaic]). CAB, 13.07 (August 2010), pp. 28-29, illustrated. Walter C. Holt, A Journey and a Destination. (The search for and discovery of a very rare and long-sought-after ancient coin. [Ephesus, Seleukid, Seleucid]). CAB, 12.11 (December 2009/January 2010), pp. 24-26, illustrated. Walter C. Holt, Hadrian’s Fortune overshadows Augustus’ Temple. (Observations on a Cistophorus of Hadrian overstruck on a similar coin of Augustus. [Ephesus, Augustus, Hadrian]). CAB, 12.9 (October 2009), pp. 44-48, illustrated. Walter C. Holt, My Two Cents Worth. (Two Remarkable Australian One Cent Error Coins discussed). CAB, 12.3 (April 2009), pp. , illustrated. Walter C. Holt, The “Most Beautiful” Roman Coin Sells for over A$3 Million! CAB, 12.1 (February 2009), pp. , illustrated. Walter C. Holt, A Mysterious Ancient Coin! (A coin first thought to be from Priene has to be researched and re-identified. [Athens, Kalakte, Calacte]). CAB, 11.11 (December 2008/January 2009), pp. , illustrated. Walter C. Holt, Collecting Ancient Greek and Roman Coins. CAB, 11.4 (May 2008), pp. , illustrated. Walter C. Holt, Portraits of Cleopatra. CAB, 10.11 (December 2007/January 2008), pp. 34-38, illustrated. Walter C. Holt, Two Dollar Forgery. CAB, 10.9 (October 2007), pp. 20-21, illustrated. Walter C. Holt, The Walls of Nicaea. CAB, 10.5 (June 2007), pp. 34-36, illustrated. Walter C. Holt, What’s in a Name? Alexander Type Tetradrachms in the Name of His Successors. CAB, 10.3 (April 2007), pp. 44-47, illustrated. CAB, 10.1 (February 2007), pp. 58-62, illustrated. • Coins: "An Introduction To The Coins of Ephesus, Part IV,"
Walter C. Holt, The Australasian Coin and Banknote Magazine. CAB, 9.9 (October 2006), pp. 54-58, illustrated. CAB, 9.5 (June 2006), pp. 58-61, illustrated. CAB, 9.3 (April 2006), pp. 38-40, illustrated. Beware the Wolf in Sheep’s Clothing - Aesop (c.620-560BC). (An Australian fabricated "error" coin [3d] exposed for what it is). CAB, 9.1 (February 2006), pp. 47-8, illustrated. Walter C. Holt, "Alexander-Type" Tetradrachms in the Name of His Successors. "Alexander-Type Tetradrachms in the Names of His Successors,"
Walter C. Holt, The Celator. Walter C. Holt, Left-field Inspiration - Sometimes you just want to know more. The Celator, 21.8 (August 2007), pp. 24-29, illustrated. Walter C. Holt and Rev. Peter Dunstan, The Tribute Penny Debate Revisited. The Celator, 20.10 (October 2006), pp. 22-28, illustrated. Walter C. Holt, The Revolt of Poemenius at Trier. The Celator, 18.5 (May 2004), pp. 23-30, illustrated. The Celator, May 2004, Kerry Wetterstrom, Editor. The Celator, 15.4 (April 2001), pp.28-9, 36. Walter C. Holt, Exploring the Sites of Trier: The Oldest City in Germany. The Celator, 11.4 (April 1997), pp. 28-32, illustrated. The Celator, (), pp. , illustrated. Walter C. Holt, Evidence of the Coinage of Poemenius' Revolt at Trier. American Journal of Numismatics, 2nd series, Vol. 15 (2003), pp. 61-76: plate 6. Walter C. Holt and Nicholas L. Wright, A New Seleucid Bronze Coin and Dura Hoard 13 Revisited. Walter C. Holt, Usurping a Usurper: The Poemenius Revolt at Trier.